We welcome today’s publication by the Government of its long-awaited Post-Implementation Review of Part 1 of LASPO alongside an action plan to improve access to justice. In addition to announcing that it will consider simplifying the ECF scheme to improve access and whether a new urgent case procedure is needed and it has also committed to improving the speed of ECF decision-making. Today we launch our research report Accessible or beyond reach? Navigating the Exceptional Case Funding Scheme without a lawyer which provides a detailed analysis of the ECF scheme’s accessibility for women survivors of domestic and sexual violence and abuse. Our report’s findings provide an evidence-based consideration of the matters the Government has identified it wishes to address including its inaccessibility to individuals, chronic delays in decision making and an urgent case procedure that is not fit for purpose. We are hopeful that this will assist the Government in taking the necessary steps swiftly and effectively to overhaul the ECF scheme and improve access to justice without delay. Throughout 2018 we carried out a series of consultation exercises with women survivors of domestic abuse and sexual violence to inform and shape our work going forward. This article gives a summary of what we did and our key learning points. We will be publishing a report coproduced with survivors in 2019 and will be continuing to support survivors to drive our work going forward based on its recommendations. Our aim was to understand how well our services meet the needs of women survivors of domestic abuse and sexual violence and how they can be improved. As part of this, we were particularly interested to understand how we could expand our services and increase our use of technology in the future to reach more women. It was paramount to us to engage meaningfully, safely and ethically with survivors to do this and gather learning that would not only inform our approach now but also lead to long term partnership working with survivors. We are extremely grateful to the women who worked with our team and cannot emphasis enough how much we learnt from these experts-by-experience. We are also grateful to the three other organisations who worked with us to enable this consultation to happen: a survivor group, an NGO working in prisons and an organisation that hosts a BMER women’s group. We focused on establishing trust, ensuring safety and building relationships with the survivors we worked with in a manner that best suited their needs. This included: working in small groups, one-to-one meetings (these were conducted by an external expert facilitator/survivor that they trusted), meeting several times with the same groups of women to build trust, travelling to meet the survivors for focus groups as well as inviting them to where we are based, meeting individuals with a facilitator present. Most contact was face-to-face but some survivors also provided written feedback. Some activities were structured but we also ensured space for a less structured approach to allow individuals to contribute fully. These are some of the questions the evaluation sought to address and are indicative of the fuller set, which will be published in our final report. What is the overall impression of our service / organisation? How important is our women-led and women-focused model? How well does our organisation cater for all women, for example women from BMER backgrounds or women with complex or multiple needs? When women have contacted us, why they have contacted us specifically? What were the impact or benefits of contacting us longer term? Our advice line gets very busy and we are aware we cannot meet the high demand for our advice. Are there any suggestions on how we could improve on our current system? How useful are our online resources and website and how could they be improved? How clear is it to women what help they can get from us from the way we describe our services on our website? Are there any interactive online tools that survivors would find helpful for us to introduce? Does our sexual violence handbook reflect the survivor’s journey and the questions they have? How accessible are our short guides? Does the use of images improve the users experience of these? Improving and speeding up their pathway to support: Even if we are unable due to our limited resources to provide follow-up casework, if we were able to supplement the advice we provide over the phone with short and targeted follow up, for example a letter confirming an aspect of the advice provided, this could make a huge difference in certain circumstances in moving them forward. Exploring appropriate language tone and content further with service users when talking about the law. Women service users (who are not lawyers), including some with learning difficulties, told us that we should not adjust our language unnaturally to try to simplify the law for them as it is unnecessary. Women do not always want to access all the information about a legal process all at once as it can be overwhelming to them depending on where they are in terms of recovery or processing (this was in relation to our sexual violence handbook). They would like us to break down the same information to ‘bitesize chunks’ so they have more freedom to choose what information they view and more control over choosing their own pathway to obtaining information. Our website and written guides are a valuable resource both to women have accessed our advice line and those who have tried but cannot get through. We could add to them by including short explanatory videos on legal topics as this could ‘humanise’ the interaction with our materials. It was highlighted to us that ‘hearing the human voice’ of another woman could be very reassuring to a woman seeking advice when navigating our website, especially if she had been unable to get through on our advice line that day to speak to someone. We are excited to announce that Rights of Women will soon be expanding our immigration advice line services. 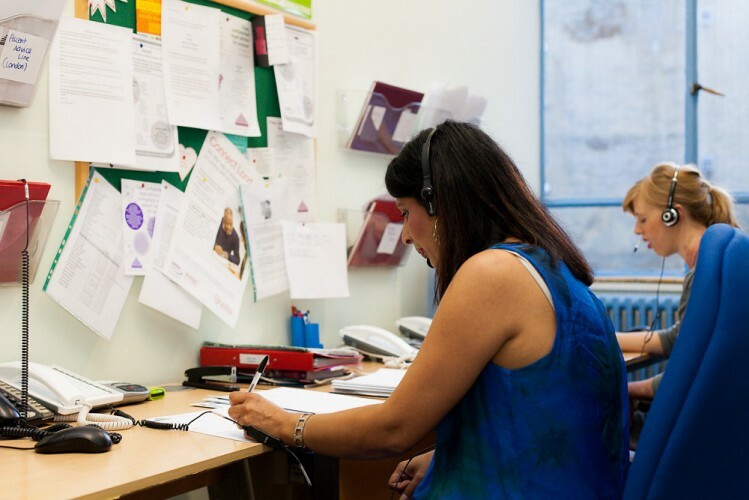 From 21st November, we will be providing a dedicated telephone advice service to non- legal professionals supporting vulnerable migrant women. The advice line will run once a fortnight on a Wednesday between 10am and 12pm. This new service will enable professionals to understand their client’s immigration advice needs and signpost them more effectively. For more information, and future dates please see here. For 71 years, the Edinburgh Festival Fringe – also known as the world’s biggest art festival – has been attracting people throughout the globe to celebrate and enjoy established and undiscovered comedy, theatre, music and more. This year, against the current political climate, there is set to be a heavy focus on #metoo stories. 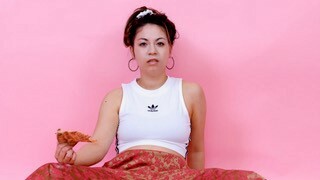 Amongst them is Love Songs; written and performed by Alissa Anne Jeun Yi and presented by emerging British Asian theatre company Trip Hazards. Developed through the Soho Theatre and supported by Camden People’s Theatre and Arts Council England, Love Songs is a coming-of-age story with a twist. Love Songs interweaves comedy, spoken word and rap to explore an autobiographical experience of heartbreak and sexual assault. The play ultimately seeks to empower women who have gone through similar experiences and provokes audiences to make an active change. Love Songs will be on as part of the Edinburgh Festival Fringe in Delhi Belly, Underbelly Cowgate from the 2-26 August (not 15). There will be a collection for Rights of Women after each show, with legal guides about understanding sexual assault available to anyone who needs them. If you are interested in coming to see the show but are worried about or would like to know more about the content, please email triphazardstheatre@gmail.com. Stay up to date with our fundraising progress by following @rightsofwomen, @_TripHazards, @alissa_ajy and #LoveSongsShow on Twitter. The judgment in the case of Tini Owens, who was refused a divorce by the Supreme Court last week on the basis that her complaints of being in an unhappy marriage did not reach the standard needed to meet the criteria for ‘unreasonable behaviour’, has sparked a debate on whether current divorce laws are fit for purpose. Rights of Women’s position on this debate is that divorce laws are in urgent need of reform and we would like to see the introduction of ‘no fact’ divorces (an alternative name for what is better known as ‘no fault’ divorce). Our position is informed by an evidence-base we have gathered through our own work in relation to this issue which suggests that current laws are failing women and can have a particularly detrimental effect on women who are survivors of domestic abuse and / or women who are on low-incomes. We have produced a briefing on this that explains our position in more detail. We are pleased to announce that Rights of Women is setting up a new online discussion forum on family law for professionals working with survivors of domestic abuse. We hope to launch it in July 2018. 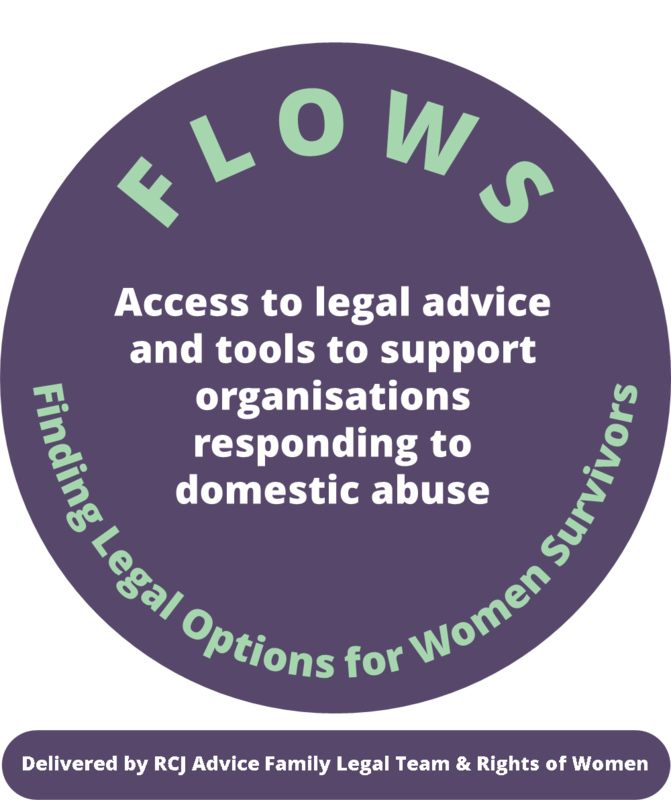 The forum is part of the Finding Legal Options for Women Survivors (FLOWS) project, which is a partnership project between Rights of Women and the RCJ Advice. This International Women’s Day, please support Rights of Women’s critical legal advice line which offers advice and support to women that need to know their rights and what options are available to protect themselves and their families from violence and abuse. Please support our crowdfunding campaign on CrowdJustice here. We work to achieve equality, justice and safety in the law for all women. One of the most critical services we offer is free, confidential legal advice provided by specialist women solicitors and barristers. Our family law advice line is particularly important in providing impartial, independent advice to women that are in coercive relationships and under threat of abuse, violence and intimidation. One of the most powerful ways to break the cycle of violence and oppression for women in coercive relationships is to make sure they are aware of their rights and the legal protections available to them. Our family law advice lines are staffed by our dedicated team of 2 women Legal Officers and 40 volunteer legal advisers, all of whom are qualified solicitors or barristers with a specialism in this area of law. But like many women’s services we’re under intense financial pressure. Our volunteers give their time up for free to offer advice to women in need and we’re raising funds to help continue to manage this high-quality and unique legal advice service. We want to ensure that when women take the often brave and risky step of calling for advice they can get through to someone quickly. Your contribution, however big or small, will make all the difference and please do share this page on Facebook and Twitter to get other people to take action too. We welcome the announcement from the Ministry of Justice today confirming legal aid rules affecting survivors of domestic violence will be amended as of January 2018. This is the result of Rights of Women bringing a successful Judicial Review on appeal against the Government in 2016 that led to the Ministry of Justice (MOJ) reviewing the current rules. The MOJ has confirmed it will be scrapping a time limit on evidence that meant survivors had to show they had suffered abuse within the past five years to be granted legal aid for advice and representation in disputed family court hearings. Additionally the MOJ will widen the types of evidence that can be supplied to prove abuse has occurred to include statements from domestic violence support organisations and and housing support officers. In its legal case, Rights of Women provided evidence that the rules (introduced under the Legal Aid, Sentencing and Punishment of offenders Act 2013) meant that 40% of women survivors could not meet the new legal aid domestic violence evidence requirements. Without legal aid for representation, survivors were forced to face their abusers in court themselves. “The changes announced today will make a significant difference to women experiencing or at risk of domestic abuse to access legal aid in private family law cases. The previous system was so clearly unjust, leaving many genuine survivors unable to access the legal aid they were entitled to, because the evidence requirements were narrow, onerous and unrealistic. Domestic Violence Rule and Immigration Law: The “domestic violence rule” has been updated and focuses on the eligibility criteria for the domestic violence rule and the destitution domestic violence concession. The second of our guides is Trafficking and Modern Slavery. This guide includes a section on modern slavery with up to date references on legal authorities. These guides are essential reading for professionals supporting women experiencing domestic violence and victims of trafficking and modern slavery and could also be an invaluable source of information to vulnerable women. Rights of Women has continually highlighted the many problems that have weakened access to justice since the introduction of the Legal Aid, Sentencing and Punishment of Offenders Act 2012 (LASPO), citing evidence and examples of the difficult and often dangerous position it has created for survivors of violence against women and girls (VAWG). Our work with our women beneficiaries has repeatedly demonstrated the problems they face when they seek the support from the law that they deserve – in particular when they apply for legal aid. We submitted our concerns to the Bach Commission inquiry panel in April 2016 alongside more than 100 other organisations and individuals and have been keen to hear the Commission’s views and recommendations on all the evidence they received. We welcome the Bach Commission’s final report ‘The Right to Justice’ (published on 22nd September 2017) on access to justice and are hopeful that the recommendations will inform and influence thinking around this important issue, particularly during the upcoming review of the key piece of legislation that has impacted on this area, LASPO. In our view, the report offers a thorough analysis on current provisions and provides carefully considered suggestions on ways forward. We welcome the effort that has been made to embed recommendations within an approach that robustly addresses financial implications. It is crucial that law and policy makers understand that one of the many benefits of widening access to justice is that it is ultimately more cost-effective than an unfair or unequal system that shifts the financial burden to elsewhere in the system. The report has made detailed recommendations about bringing back into scope all law involving children, certain cases under family law and suggests a review to determine which cases should be brought back in under immigration law. It argues that the determination of its choices is based on firmly upholding the principle of the right to justice in consideration of the nature of the issue and the parties involved. We fully support the thinking that is behind this as it echoes the need we see as a frontline organisation. Furthermore we recognise that a fundamental tenet of access to justice is to enable a level playing field where an individual’s income should not preclude them from justice or disadvantage them in comparison to any other party. In relation to the question of which immigration cases should be brought back into scope, we favour reinstatement of legal representation in all immigration cases. This is because these cases will almost exclusively relate to fundamental rights – either protected by human rights law or the European Treaties. Further, appellants in the immigration tribunal are not engaged in litigation against a private party but rather challenging a decision taken by the state regarding their fundamental rights in a context where the state will be legally represented. Ensuring the ability of individuals to question decision making and hold the state to account is an essential check and balance that ultimately creates a stronger and fairer legal system for all. The report recognises that the current system has numerous inconsistencies and excludes many who ‘are not in a position to pay significant legal expenses’. Our submission provided case studies that demonstrate how problematic the rationale underpinning income assessment, capital assessments and contributions are and the repercussions this has for ‘low-income’ women who are not eligible for full financial support for legal costs. The report has addressed each of these in detail and makes sensible recommendations for a simpler and more generous system based on calculations that are fair and realistic. If these changes were enacted it would go a long way towards addressing the justice gap that has opened under the current provisions. Frequently women survivors we support are effectively put at further risk due to high costs with possible outcomes for them including: having to face a violent ex-partner in court alone without representation; being left with no disposable income on which to survive day to day; needing to sell their house and effectively making themselves (and potentially their children) homeless in order to pay for help; being deterred from applying for a non-molestation order due to unreasonable contributions. It is unacceptable that any woman in an abusive relationship should find it impossible to prioritise her safety when faced with these choices. The report calls for an urgent review and reform of the Exceptional Case Funding (ECF) system because it has manifestly failed to deliver the safety net it promised to those who are ineligible for legal aid but at risk of human rights violations. This is an area of high concern to Rights of Women and we fully support this proposal. Calls to our advice lines have demonstrated the unnecessary barriers women are facing when seeking to obtain ECF. As a result, we are now providing direct support to a limited number of women to make applications in immigration and family law cases so we can monitor how the system is working. We will be making further policy recommendations in the future about the ECF system from the evidence base of this work that can contribute to the vision of a better system. Our submission drew attention to the difficulties women face when evidencing domestic violence in order to obtain legal aid in family law cases. Survivors of domestic violence are entitled to legal aid under LASPO’s regulations. However, in practice our research showed around 40% of women survivors could not access this support either due to being unable to satisfy the narrow list of acceptable forms of evidence or as a result of the arbitrary time-limit placed on that evidence. At the point of our submission last April we had just been successful in a legal challenge against the Government relating to the domestic violence gateway, which resulted in the time-limit being deemed as unlawful and a requirement being placed on the Government to add a form of evidence to the list that would enable survivors of financial abuse to evidence their situation. The Ministry of Justice had announced they would be undertaking a review to inform changing the regulations and introduced some minor changes in the interim. This review has now taken place, however at the time of writing, any longer-term changes resulting from this review are yet to come into force. We note the Bach Report highlights the restrictive nature of the gateway as a key issue that still needs to be resolved urgently. We welcome the prioritisation of this issue and urge Government to address the matter swiftly and thoroughly. The report makes a pressing case for the return of early legal help (i.e. legal aid for initial advice prior to legal representation) which LASPO removed across a number of legal areas by taking them out of scope. We have always argued that this was likely to be counter-productive in terms of cost saving as inevitably investing in the early resolution of cases, particularly in family law, avoids lengthy, costly disputes. By avoiding such disputes and the potentially damaging impact on the parties involved, further costs to the public purse in other areas of state provision (health, employment etc.) can also be averted alongside the wider cost borne by society. Rights of Women commends the weight the report places on the need to recognise the value of independent advice organisations and to ring-fence central funds to ensure their longevity. The important role of organisations like ours is frequently side-lined despite the vital role we play in ensuring women are aware of their rights in the law and how to access them. As a result of the loss of investment in our sector, more than half of these organisations in the UK have been lost over the past decade. We hope the recommendations on how to support the voluntary and community sector spark a meaningful debate and spur action on this front.